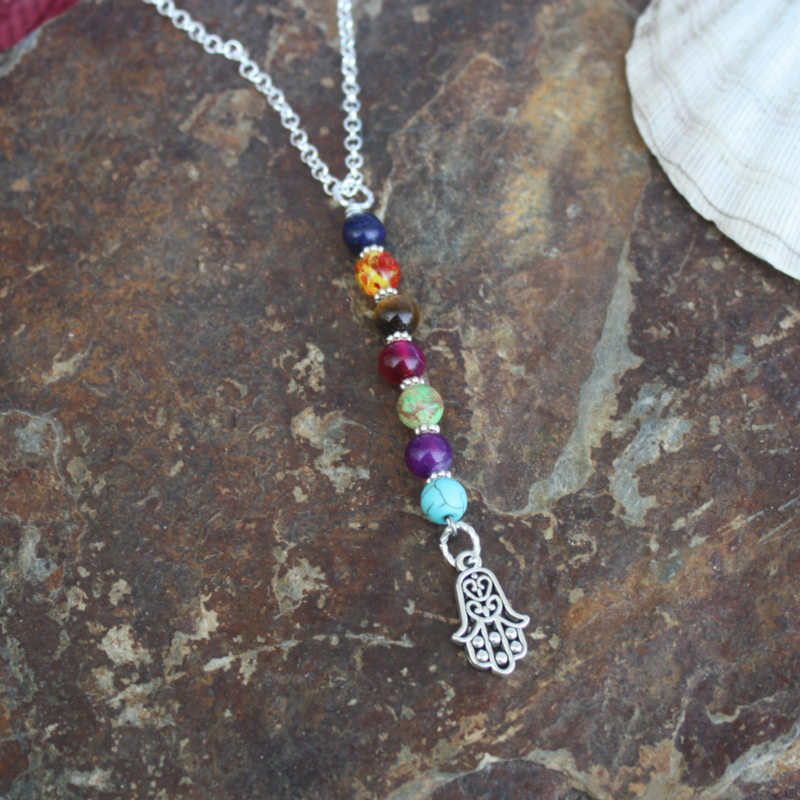 Chakra Necklace to keep you healthy and in balance. This necklace has the 7 gemstone beads that represent your 7 Chakras which are the centers in our bodies in which energy flows through. 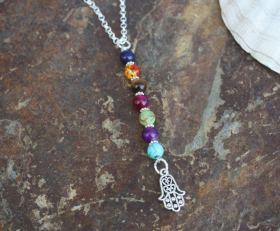 At the end is hanging the hamsa hand for protection and good luck. Categories: Bracelets, Yoga / Zen Life Jewelry, Yoga / Zen Life Necklaces.